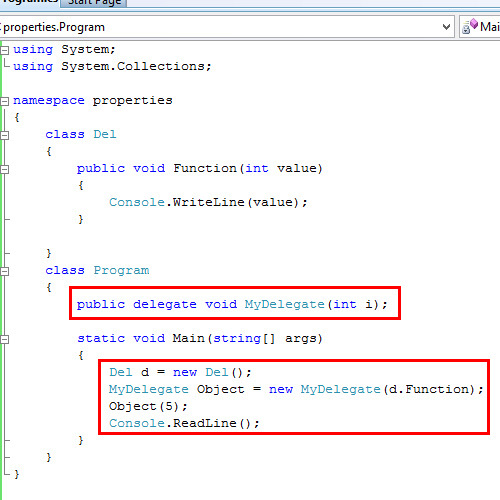 Delegates in C# are used to refer a method. The compiler dynamically chooses the method in a class depending on the delegate. This gives flexibility in programming. 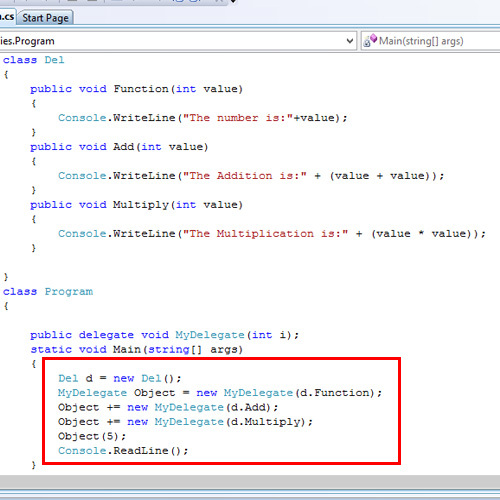 The previous example is a single-cast delegate where the delegate is referenced to only one method. A multicast delegate refers to multiple methods at a time. 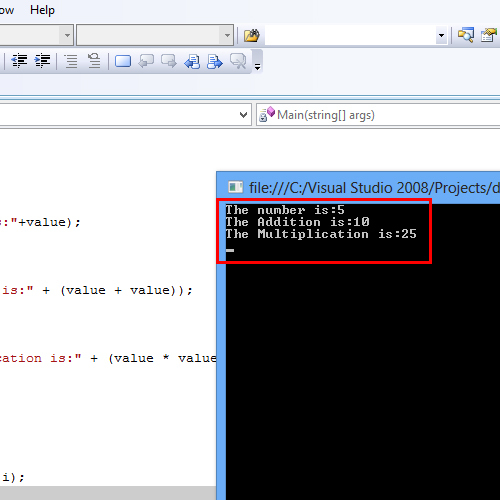 The += operator is used to add methods to the delegate. 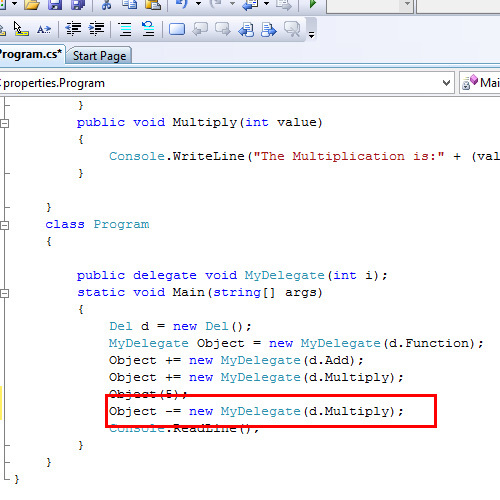 The following example shows how to add multiple methods to a delegate. 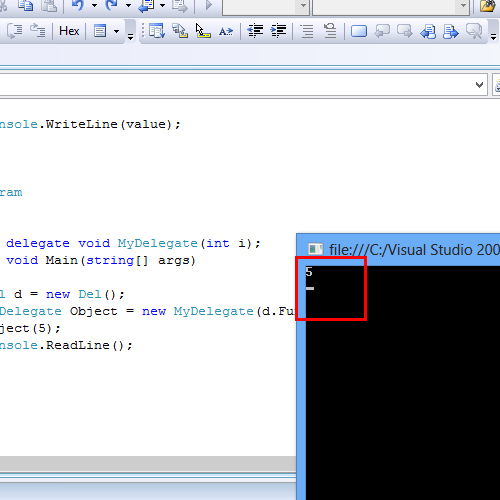 An assigned method can be removed from a delegate using the -= operator.